SFO v. FSA – Is the FSA tougher than the SFO on bribery? “I often look at the foreword to the Guidance written by the Justice Secretary, Ken Clarke. There are a number of key messages in that foreword. One of the those messages, for example, is that the Act is aimed not at the vast majority of companies who want to get it right but at the mavericks who are determined to continue to use corruption. “What we do expect though is a proportionate approach by companies focussing on the key risks and on what they are doing in order to be able to combat those risks. This is what companies should be doing anyway. Indeed some companies have told us that this is a valuable exercise for them for all sorts of reasons that they should have carried out before. For a long time the SFO has been offering assurance to organisations that it will be taking a reasonable approach when enforcing the Bribery Act, including in relation to its exercise of prosecutorial discretion. Fast forward then to July 2011 and the Willis *FSA* decision which we have written about here and here. We have noted before that unlike the SFO the FSA does not need to suspect bribery in order to take enforcement action. In this way it is similar to the books and records offences in the United States under the FCPA. The Willis decision pre-dates the Bribery Act and relates to a period between 2005 and 2009, when the Bribery Act was not conceived and for most of this time the latest Law Commission report on reforming the laws of Bribery had not even been published. During all this time Willis had a policy. Willis conducted reviews. Willis updated its policies. It is fair to say that the implementation was not perfect [Ed: is life ever perfect?] but in 2008 on the appointment of new General Counsel a new policy was implemented. A read through the Willis final notice here catalogues deficiencies and (imperfect) attempts to iterate to improve the situation. However, the picture painted is a far cry from the conduct (remember there was no proven bribery) which is purportedly the focus of the Bribery Act. Willis received a £7 million fine. 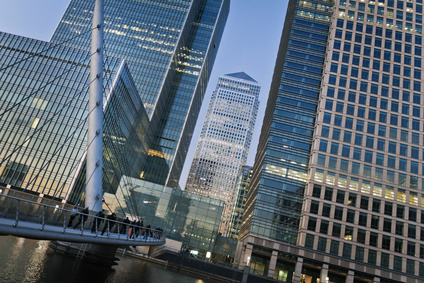 As one of its four statutory objectives the FSA has to reduce the extent to which regulated persons and unauthorised businesses can be ‘used for a purpose connected with financial crime’. In Willis and Aon the FSA has laid down a clear marker: it is going to assume a tough enforcement stance in the context of anti-bribery issues and it is going to be tough on those whose Adequate Procedures to prevent bribery are imperfect. With all the focus there has been on the SFO and the Bribery Act it would be ironic if the FSA, which has been largely silent, turns out to be the agency which adopts an unreasonably harsh enforcement approach. The irony would be compounded if it did so invoking serious penalties using rules and regulations which have been in place for years and have nothing to do with the Bribery Act. I know I should know this, but what’s the range of the FSA’s jurisdiction. Is it just insurance and financial institutions? It would indeed be ironic if the regulator took a tougher enforcement stance than the enforcement agency. I’m wondering if there are politics at play here also. Is it budget season over there? Broadly, the FSA regulates FSA registered firms or those that should be and anyone who issues financial promotions. In English that means they regulate the financial services world from banks to collective investment schemes (and funeral planners…) so it’s a pretty broad remit.